Prayers, Psalms, and Hymns are common in all religions. We find them to be a fundamental part of the religious literature of the world. 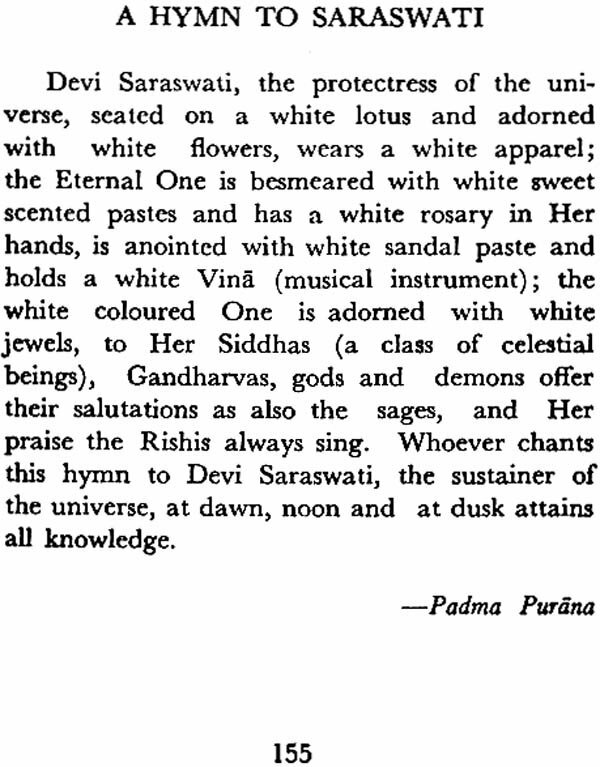 In the hymns of the present volume is revealed the mystic soul of the Hindu, sweet and devotional. It attains to high states of ecstasy through these songs and symbols. It knows no peace till it finds God and establishes the sweetest of relationship with Him. He is its master, friend, father, mother - nay, the beloved. An intense passionate live for God is the chief note in all these hymns. 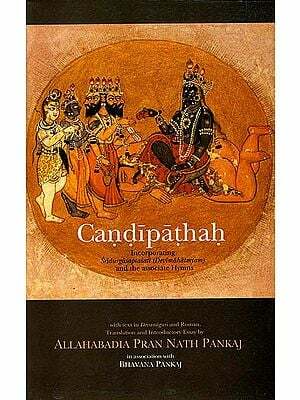 Although all that is best in Hindu culture is embedded in Sanskrit, it is a pity that scant attention is paid to its study. Hymns too, notwithstanding their power for spiritual uplift, are consigned to oblivion. 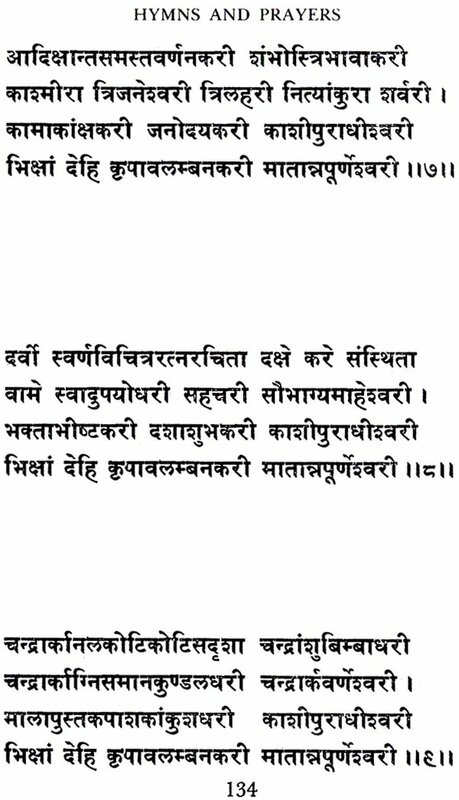 For those who are not conversant with Sanskrit and yet consider the hymns a great help in their spiritual life, we have brought out this book containing fifty represen- tative hymns with English translation side by side. 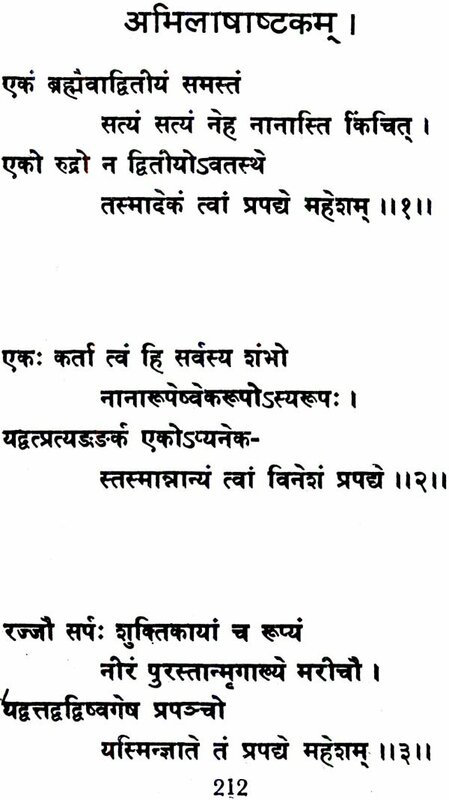 Nineteen of these appeared originally in the Prabuddha Bharata. The selection is calculated to meet the needs of diverse religious temperaments. This translation has been made literal as far as possible without sacrificing literary grace. A few passages are obscure and difficult to translate. But we have tried our best to bring out a sensible meaning out of them. We send out this book with the hope that it will meet the needs of at least some who aspire after spiritual realisation. Prayers, Psalms and Hymns are common in all religions. We find them to be a funda- mental part of the religious literature of the world. Prayers and praises are the first means of spiritual growth everywhere. Then come meditation and reflection, reason and philos- ophy. It maybe philosophical to believe in an Impersonal God, immanent in nature, but so long as man is conscious of his limitations, he cannot but worship a Personal God, on whom he depends at every step in his life and at whose feet he can pour out his soul. Man feels himself weak arid wants someone on whom he can depend for help. He wants something concrete which he can grasp in the hours of his trials and difficulties, a Being to whom he can offer his love and devotion and who would in return love and care for him. That is why we find the idea of a Personal God in almost all religions. With the idea of such a God come devotion and worship, and prayers and hymns are but the natural outcome of one's conception of that Personal God and one's relation with Him. Though in Hinduism the culminating reli- gious thought is the doctrine of oneness preached by the Vedanta, yet in the Vedas themselves we have also the idea of a Personal God, the Lower Brahman, and the idea of Bhakti, which is but yet in seed form. 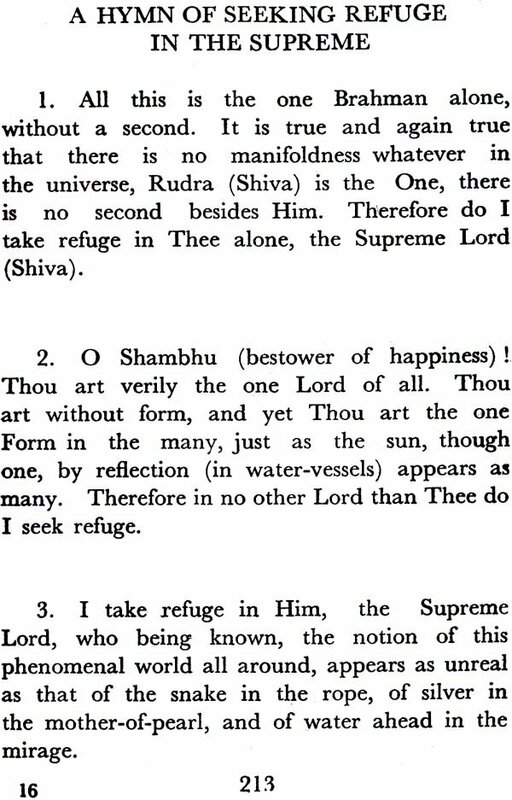 The Mantra portion of the Rig Veda is nothing but a collection of hymns. This ideal of Bhakti, however, is fully, worked out by the Puranas and illustrated by the lives of kings, saints, and Incarnations. The Hindu, being pre-eminently spiritual, whatever ideal he took up in the field of religion he worked it out till it became infinite and all-embracing. As a result, .we have in the Puranas hymns, in which the same spirit which sang forth the glories of the Atman in the Vedas, is pouring forth in ecastatic song its love for God. 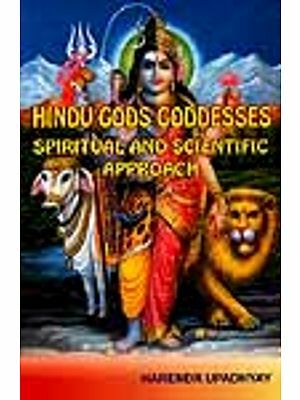 In these hymns is revealed the mystic soul of the Hindu, sweet and devotional. It attains to high states of ecstasy through these songs and symbols. It knows no peace till it finds God and establishes the sweetest of rela- tionships with him. He is its master, friend, father, mother-nay, the beloved. An intense passionate love for God is the chief note in all these hymns. The result is the creation of a devotional literature of exquisite beauty un- surpassed by any other religious literature of the world. 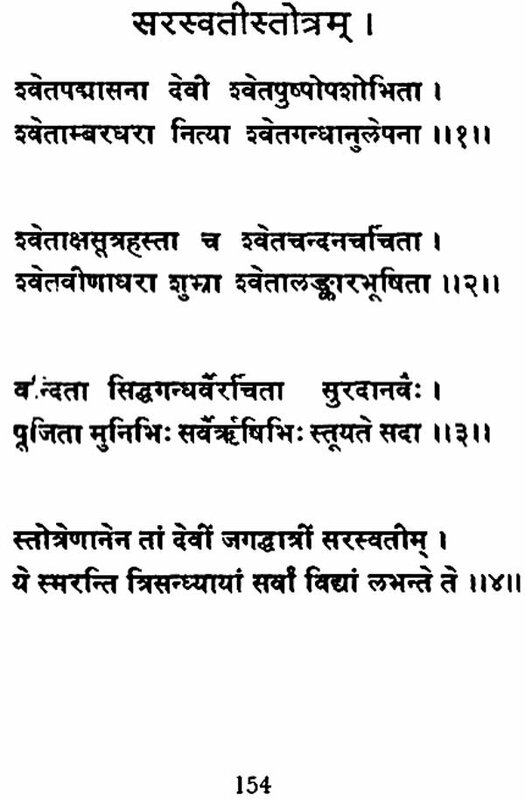 We find these hymns or Stotras as they are called in Sanskrit, not only in the Puranas but in the writings of all great re- formers and saints. 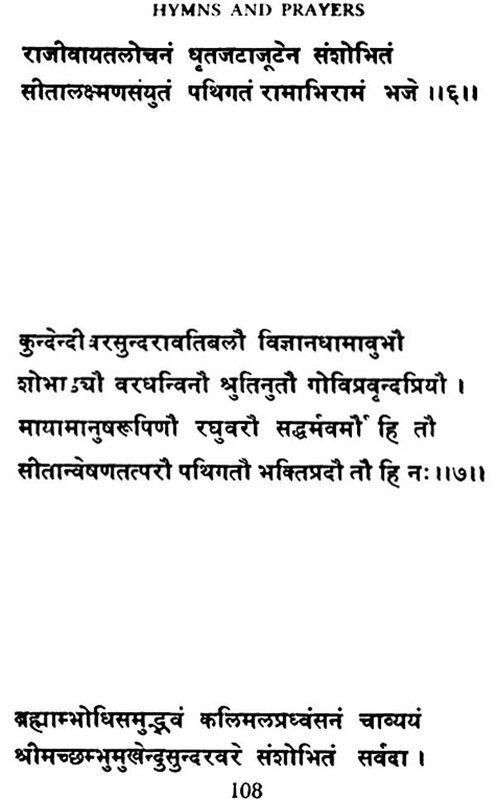 Even that great Advaita Kesari, Acharya Shankara could not avoid the temptation, and we find in his writings some of the most beautiful hymns ever written in Sanskrit. 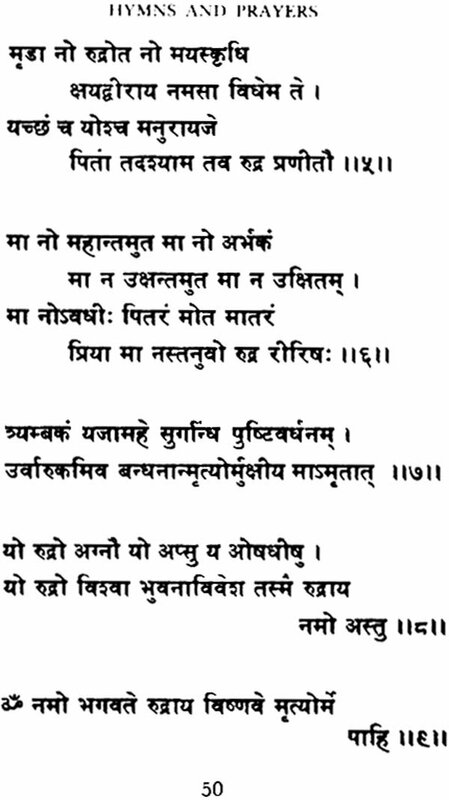 Such hymns are found not only in Sanskrit but in the vernaculars also. The religious revival of the twelfth century was a popular movement and though Ramanuja who gave a philosophic background to the revival, wrote in' Sanskrit; the other great saints and reformers of the period wrote in the language of the people. These hymns in Sanskrit and in the vernaculars have appealed to the race greatly and have thus attained a wide popu- larity. They play an important part in the religious life of the people. 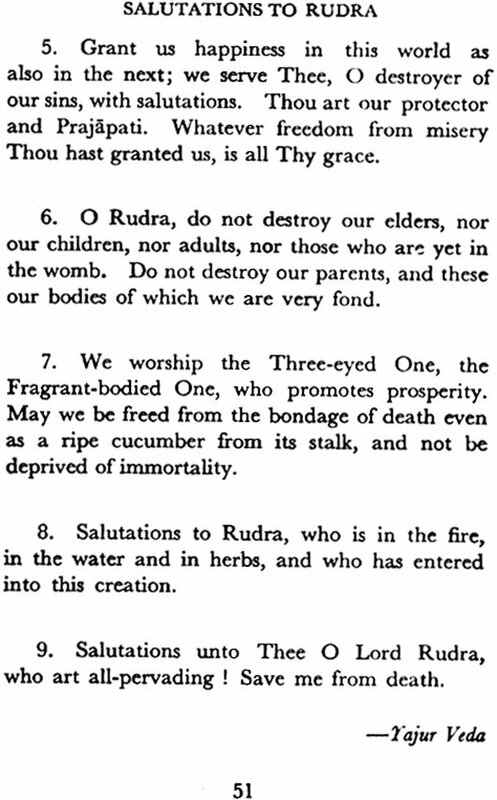 The Stotras (hymns) include praise, prayer, and meditations; also sometimes Mantras, which are spiritual incantations, are said to pro- duce certain desired ends when accompanied by appropriate rituals and ceremonials. Leaving aside these Mantras, the Stotras include prayers and entreaties for deliverance from the ills of this Samsara or relative existence from which God alone can deliver one. These hymns fall under two categories. 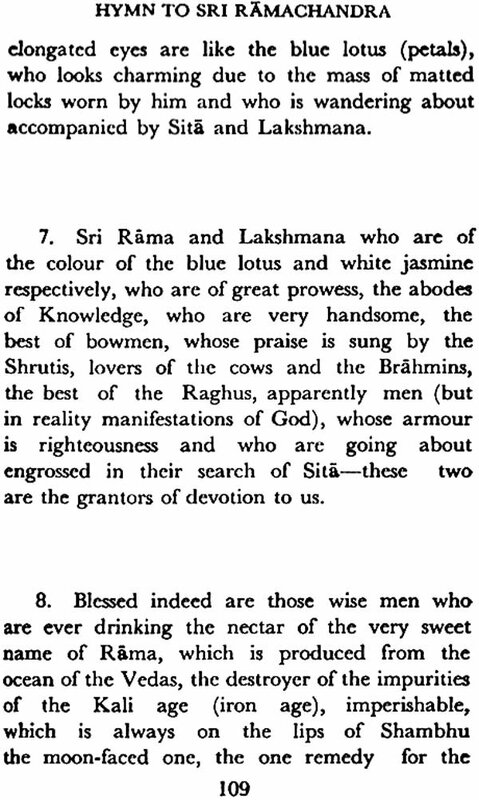 In the one there is complete confidence in Divine benevolence and unlimited grace, which gives even to the greatest of sinners hopes of salvation: "As the best of the Raghus (Rama), when even that most heinous sinner, the raven (which insulted Sita), was forgiven by Thee because it took refuge at Thy feet, and since as Krishna, Thou hast granted Moksha (liberation) full of Bliss even to the King of Chedi (Shishupala) who had wronged Thee birth after birth, what sin is there which Thou wilt not forgive?" (p. 73). These hymns often end in a mystic communion with God. The other group makes the Divine grace conditional on self-purification . which alone makes one deserving of such a grace. The hymns in this group are marked by a spirit of self-abasement, with confession of sins, repent- ance and promises of reform, as for example in the following stanza where one chastises one's mind: "Having renounced all desire; having given \ up reviling others and attachment to sinful conduct, having directed the mind to Samadhi and meditating on the Lord seated in the Lotus of the heart, worship Vishwanatha, the Lord of Varanasi" (p. 33). The Stotras, as a rule, are written in simple language. Sometimes, however, they are written in conventional language, and embody elaborate symbolism. On account of this the ordinary man, not initiated into their esoteric meaning, finds it difficult to understand them. 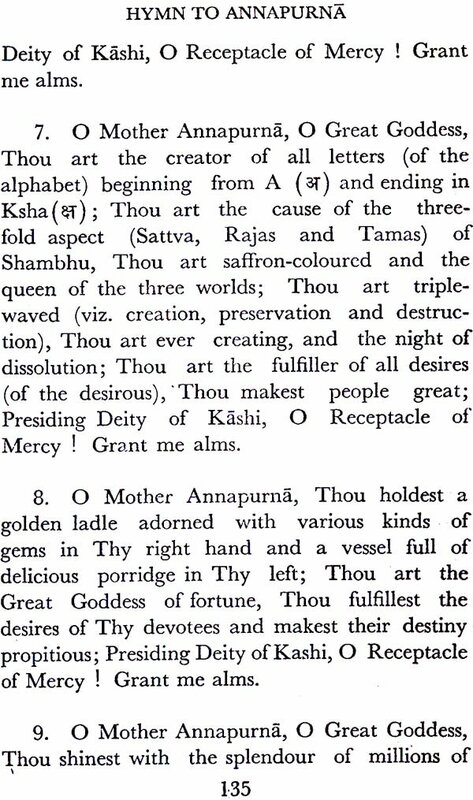 In this class can be put Hymn to Devi, (Brahma's prayer to the Divine Mother in the Chandi) and also Hymn to T ripurasundari by Shankara where especially the reference to wine etc., may be repugnant to one who is not initiated into the conception of the Devi and the rituals of her worship according to the Shakti cult. Another great difficulty in under- standing these hymns, a difficulty which is more or less common to all the hymns, is our lack of familiarity with our vast mythology and the incidents narrated and the epithets used therein, to which there are frequent refer- ences in these hymns. Though the funda- mental note of these hymns is devotional, yet we find in most of them a philosophy which characterises the whole trend of these hymns.